Another timeless design from Buckley. 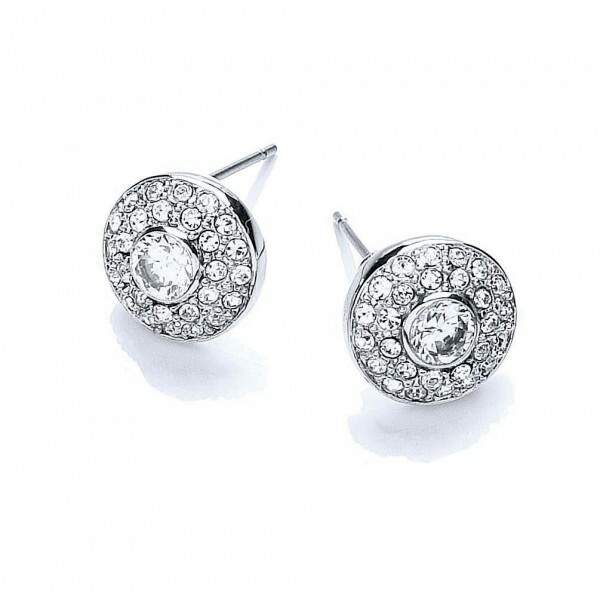 Rhodium plated, each earring has been hand-set with a 3mm brilliant-cut cubic zirconia surrounded by clear Austrian crystals. They feature a post and butterfly fastening, suitable for pierced ears only. Matching pendant (GN965) and ring (CZR433) available.